We would like to wish you a happy and healthy 2017! Up to 40% of cancer patients suffer of mood disorders, including severe anxiety and depression. Besides cancer making life difficult enough, the mental problems make cancer itself harder to treat, for example by decreased adherence to medications, as well as extended hospital stays and increased risk of suicide. A double-blind, placebo-controlled, crossover trial study by the New York University used psilocybin – the active ingredient of magic mushrooms – in combination with psychotherapy to treat patients with these extreme forms of anxiety and depression. The study on 29 patients showed interesting results: psilocybin was associated with anxiolytic and anti-depressant effects in 60 to 80% of the patients. The anxiety of some patients disappeared completely and they would become very acceptant of the fact that they would die soon. In fact, some of these patients became so acceptant that their family even complained about this. At this moment, the FDA is evaluating several trials. This could result in reclassification of the drug by the Drug Enforcement Administration, which presently lists psilocybin as a Schedule I substance, meaning it to have no medical value and a high potential for addiction. Researchers claim to have found genomic proof that could explain why, compared to most other solid tumors, testicular cancer is highly curable with chemotherapy as more than 80% of patients with testicular cancer are cured. Scientists of the Dana-Farber Cancer Institute analyzed samples of almost 50 patients. With RNA transcriptome analysis and whole-exome DNA sequencing, the investigators found many chromosome changes by reciprocal loss of heterozygosity (RLOH). RLOH changes multiple parts of the genome, where the genome has gain of one parallel allele in the same time as another parental allele copy is lost. The deranged chromosomes have not been noticed before and these abnormalities in the development of germ cell tumors might be the reason of the high sensitivity to chemotherapy, although the exact mechanism behind this benefit remains to be solved. Moreover, the researchers showed that the p53 gene remains intact after chemotherapy, while this protective gene is lost in many other cancers after chemotherapy. Over 95% of children with acute lymphoblastic leukemia (ALL) achieve remission after 1 month of induction chemotherapy. However, in 15-20% of the children the disease returns. Researchers have found that fasting could help to improve the survival rates of ALL patients. In a mouse model they showed that fasting inhibits the leukemic progression of both B-cells and T-cells in ALL. Moreover, fasting results in a decrease of leptin levels, a hormone also known as the ‘satiety hormone’, a decrease that was also seen in ALL patients. The study published in Nature indicates that a decreased number of leptin receptors is an essential feature for the development of ALL. Fasting results in upregulation of this receptor and thereby inhibits the development of ALL. This research suggests new pathways to prevent the development and progression of ALL. Unfortunately, fasting had no effect on acute myeloid leukemia (AML), most likely because this type of leukemia already has higher leptin receptor activity to start with. 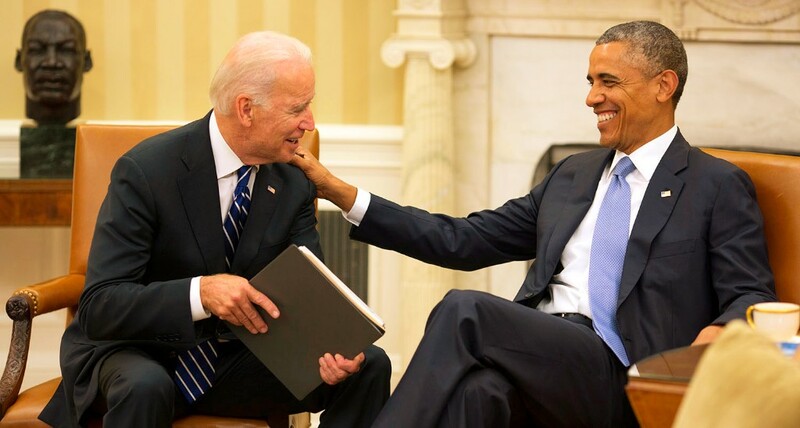 Vice President of the United States of America Joe Biden summoned the Senate on Wednesday December 7 2016 regarding to the earlier discussed “cancer moonshot” – an initiative to accelerate the fight against cancer – resulting in a vote with an overwhelming 94 against 5 votes positive result. Within a week the $6.3 billion bill headed to the White House and was signed by President Barack Obama, being the last piece of legislation needed. Biden found a way to fund the initiative to boost not only funding for cancer research, but also other diseases such as brain disease, substance abuse disorder and more. The project was very personal to Biden, as his son died of brain cancer in 2015. Since then, it is said fighting cancer has become Biden his “life purpose”, and to be even more important than running for presidency. In total, the new law provides $1.8 dollar for cancer research and $1.5 billion for Obama’s Precision Medicine Initiative. The generic pharmaceutical company Sun Pharma that is headquartered in Mumbai, India has acquired Novartis’ cancer medicine sonidegib (Odomzo®). The hedgehog pathway inhibitor was approved by the FDA halfway 2015 for the treatment of locally advanced basal cell carcinoma (laBCC) in patients with recurring disease or which are not suitable for surgery or radiotherapy. The tyrosine kinase inhibitor is predominantly prescribed by dermatologists (70%) followed by oncologists, offering Sun Pharma the opportunity to expand their established branded dermatology business and support its expansion into Branded Oncology with a launched product. The company signed for an upfront payment of $175 million as well as for additional milestone payments. Chlotmethine (Legada, Actelion Regisistration) for the treatment of mycosis fungoides-type cutaneous T-cell lymphoma. The antineoplastic chlormethine is an alkylating agent that inhibits rapid proliferating cells and its ability to treat lesions to resolve skin patches, plaques and tumors is regarded to be of added value. In May 2012, the product was designated as an orphan drug. Venetoclax (Venclyxto, AbbVie) to treat chronic lymphocytic leukemia (CLL) for patients with 17p deletions or a TP53 mutation, which makes them unsuitable for chemo-immunotherapy. Venclyxto is used when medicines known as B-cell receptor pathway inhibitors (ibrutinib and idelalisib) are not suitable or have failed. Venclyxto blocks Bcl-2 that is highly expressed in CLL cancer cells. The small molecule was designated as orphan drug in December 2012. Ixazomib (Ninlaro, Takeda Pharma) in combination with lenalidomide and dexamethasone for the treatment of multiple myeloma. The proteasome inhibitor blocks a system that breaks down proteins, damaging cancer cells internally and resulting in cell death. Ixazomib received orphan drug designation in September 2011. Alectinib (Alecensa, Roche Registration) to treat patients with anaplastic lymphoma kinase (ALK) positive advanced non-small cell lung cancer (NSCLC) previously treated with crizotinib. The protein kinase inhibitor (PKI) inhibits autophosphorylation of ALK, ALK-mediated phosphorylation of downstream signaling proteins and proliferation of ALK-dependent cancer cells. Rituximab (Truxima, Celltrion Healthcare) for the treatment of non-Hodgkin’s lymphoma (NHL) and chronic lymphocytic leukaemia (CLL), as well as in rheumatoid arthritis (RA), granulomatosis with polyangiitis (GPA) and microscopic polyangiitis (MPA). The monoclonal antibody binds to CD20 found on both malignant and normal B-cells, promoting cell death of malignant B-cells. Pembrolizumab (Keytruda, Merck Sharp & Dohme) as first-line treatment of metastatic non-small cell lung carcinoma (NSCLC) when tumors express PD-L1 with a ≥50% tumor proportion score (TPS) with no EGFR or ALK positive tumor mutations. Rucaparib (Rubraca, Clovis Oncology) for the treatment of patients with deleterious BRCA mutation associated ovarian cancer. The PARP inhibitor was granted accelerated approval to treat patients who have been treated with two or more chemotherapies. Together with rucaparib, the FDA approved the FoundationFocus CD-BRCA test developed by Foundation Medicine to identify patients with advanced ovarian cancer eligible for treatment with rucaparib. The sequencing NGS-based companion diagnostic is able to detect alterations in BRCA1 and BRCA2 genes in the tumour tissue. The Food and Drug Administration (FDA) and Office for Human Research Protections (OHRP) jointly published the guidance “Use of Electronic Informed Consent in Clinical Investigations--Questions and Answers” aimed to provide help in using electronic systems and processes. These guidelines provide recommendations for institutional review boards (IRBs), investigators and sponsors on procedures applicable when using an electronic Informed Consent (eIC). Among the goals is to help ensure protection of human subjects and the appropriate documentation, as well as the quality and integrity of eIC data. An alternative approach may be followed if this would fit the requirements of the applicable statutes and regulations. The guidance finalizes the draft issued in March 2015, and is a (quite ambitious) step forward to make study documentations fully electronic.